Superior construction, monitored video surveillance, and on-site management enable you to store your goods safely, confidently and economically. Store office records or equipment with confidence. 5′ x 15′ and up, or tailored to meet your requirements. Monthly and long term leases are available. 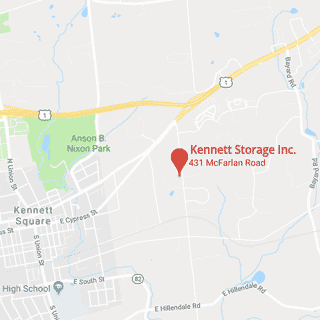 Kennett Storage offers pick-up and delivery service for records stored at our facility. Small and mid-size companies can benefit from our shipping and receiving services. We will ship your materials as instructed, or notify you when your shipment has arrived.